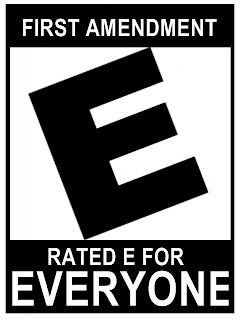 Look I found my blog! And I am having another baby! And when I am overdue I use a lot of exclamation points to show that I am happy darn it!! 7 Quick Takes- Excuses Excuses. 1. First off I am inspired to blog today in honor of my favorite blogger who is need of prayers for her double pulmonary embolism. She is pregnant with number 6. Normally she hosts these quick takes but today they are hosted by the lovely Hallie Lord. 2. Mommy blog worship aside let's talk about toddlers. Toddler boys actually. I can't actually do anything all day but make sure he doesn't kill himself. For real. I am only blogging right now because I just nursed him to sleep while grocery shopping. (More on that later.) And yes, I nurse toddlers. Thank goodness for the only 10 minutes of my day I can dial it down a notch while he is still awake. Sometimes if the nursing fairies are nice I even get to spend those ten minutes of nursing time at mass, actually paying attention as opposed to running around the narthex. Ooh sweet unexpected nap. You might ruin my afternoon but I will take you today! I would have posted a photo here but it looks like stuff has changed since I last blogged and I have to sell my soul to google before I can post a picture. Hmmm. Must research more. 3. The new love of my life is Harris Teeter's Express Lane Shopping. I do all the shopping online and then pick a half hour window to pick it up. I don't have to get out of my car at all. And more importantly I don't have to go up and down the aisles with a whining three year old and a one year old struggling to get out of my arms to either run away or knock stuff off the shelves. My last trip before I found all the shopping I want per month for $16.95 involved me hoisting the barbabyian under my arms flying airplane style. Never again my friends. Never again. 4. Between my BFF HT and Amazon Prime* I may never leave my house again except to carpool three to four times a day and mass. Maybe, just maybe, I will be able to fold laundry before 9pm at night. Although with the barbabyian's interest in all things mess making, I doubt it. 5. I didn't realize how much moving has been a toll on the family. It has been a real rough fall for all the kids emotionally and me too. I don't know if I thought moving back to the same area would be just the same or what, but there has been a lot of adjustment. And the fact that it took me six months to hang pictures didn't exactly help from a settling in perspective either. Watch we'll probably get notice that our state department landlords will be coming home this summer instead of next summer as soon as I publish that I actually settled in! 6. I was actually inspired to do the birth story linkup hosted by Grace. I think I can top the one by the boring blogger. And I don't think she'd disagree with me. I just don't know if the world is ready for my story. Head on over to Moxie Wife for more Quick Takes! Barbabyian is 1! How did this happen? Why is he still so needy? Shouldn't he be a big kid now? Perhaps I am the only one who feels she should get the party when a baby turns one. Yes, I made it. The sleepless nights, the endless feedings, diaper changes blah blah blah. Oh well. I was feeling pretty good about our little family party on Sunday and then at mass Monday morning I threw my back out. BIG TIME. The barbabyian was trying to propel himself out of my arms (because he a)has no fears b)thinks he can fly) and I sort of lurched and put him down in one awkward motion that ended with my back seizing up. I literally could not move. I finally limped out of mass stage whispering to the visiting school kid, "Just bring him back to the vestibule!" Out of control. So, now we are having one of those days when I can't do anything and my house is a disaster area. Oh well, it makes me feel like I do a lot around here, because when I don't do it, things get to looking real bad, real fast. 1) I am not as young as I used to be and I haven't been as nice to my back as I should be. That probably has a lot to do with the barbabyian who has been a "hip ranger" as of late. Doesn't.Want.To.Be.Put.Down.Ever. Not really cute anymore seeing as he takes to flying out of my arms at any given moment or lurching for anything that strikes his fancy out of reach. I have been performing contortions of all types recently and it has come back to haunt me. Everything is an adventure with this guy. He may not be walking yet but he climbs, crawls, and gets into everything! Toilets, bookshelves, toys, cupboards. He escapes outside because his brilliant siblings leave the doors open. We found him upstairs on the bunk bed on his birthday when no one else was up there. It was the lower bunk, thank goodness, but he knows how to get to the top bunk too. He even climbed under the minivan. Talk about bad body mechanics trying to get him out! Public restrooms are places of pure torture and with my caffeine and water habit I have to suffer them daily. Trying to go while holding the barbabyian has made for some really awkward moments let's just say. 2)Jesus is trying to tell me something. You see, I don't exercise at all. I have had this little agreement with the big guy that I call "Body by Jesus." We made a deal. I was going to take out the time to go to daily mass and do mental prayer and spiritual reading and he wasn't going to let me get too heavy. The way I saw it I didn't have time to exercise, it couldn't be a priority, so he had to help me. I would do my part of course, watching what I ate and trying to eat and drink healthy, but he was supposed to help me out. I really don't exercise unless my mental health requires it, which is usually while pregnant. When pregnant with the barbabyian I walked every single day because if I didn't there was hell to pay. But October is coming on, the cruelest month for me mental health wise between shorter days, allergies galore and fatigue from the beginning of school. So, now that I have been shown how much help my core muscles need I have no excuse. Exercise has to become a priority so I can take care of my family. End of Story. So, Body by Jesus is taking on new meaning. Now, he's gotta help me figure out how I can add one more thing to my insane schedule. Go Jesus go! No, I didn't! Yes, I did! I just googled up "fashionable orthopedic shoes." Shoot me now. Someone is solidly middle age. As some of you may know, my dear husband if very proud of his membership in a certain 2nd amendment supporting organization. This interest in hunting and the right to bear arms has, not surprisingly, taken root in our children. The Conqueror has encyclopedic knowledge of all the weapons used during World War II, including artillery on all military aircraft since the inception of military aircraft. I have seen him tested by people and he can just spit the stuff back. Crazy. He's also taken a hunter safety course, practiced shooting (with parental supervision of course) and is eager for his first hunt whenever it may be. Biki cannot wait to go hunting with her Daddy. She goes past woods and says things like, "I can't wait to go hunting there. I bet there are some big fat deer in there!" Did I mention she is a total carnivore? Once at about two her dad was cleaning some doves he had shot (yes, people kill the bird of peace) and she was entranced. I was pregnant at the time and literally had to leave the premises due to the gore involved (I have a very weak stomach for meat while pregnant) but Biki just kept watching her dad rip out the meat and remarked, "MMMMMMMMMMMMMM....YUMMY!" Me: What's the matter Momo? Momo (in a whiny voice): I am so sad I can't have a gun. Me: You want a GUN? Me: What do you want a gun for? Momo: So I can go hunting with my daddy and shoot deer. 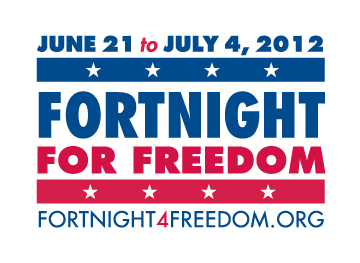 Tell me you know about the Fortnight for Freedom. Please. **Umm, yeah, that includes catholics. 2. I can't understand why people, catholics in particular, aren't more concerned about this recent intrusion on our RIGHT to the free exercise of our religion. 3. Have you noticed commentators talking about the "freedom of worship"? 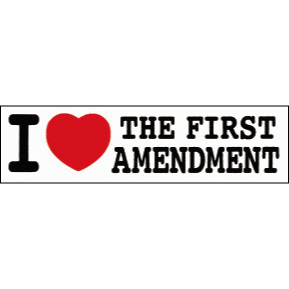 Newsflash...that's not the text of the 1st amendment. Read it yourself. It talks about the establishment of a national religion (bad) and the free exercise of your religion (good). Presumably the freedom to worship is part of the 1st amendment, but our 1st amendment freedom is way more. I think they just want people to be able to pray in their church or bedroom but not have their faith inform the rest of their life. Sorry, but I am fairly certain that loving God with my "whole mind, heart, and soul" is going to carry over into my public life. 4. Ok, now that we've had our civics lesson let's talk about how I am actually making tshirts to wear to a local rally. Me, who never makes anything. I got the iron on transfer printout idea from my dear friend who did something similar a while back. 5. This is what happens to dorks like me who like nothing better than to talk about religion and politics and studied the founders in college. I decided to use the two graphics above on my tshirts for me and the kids because I thought they were more warm and fuzzy than the others I found here. 6. But they are pretty cool. 7. 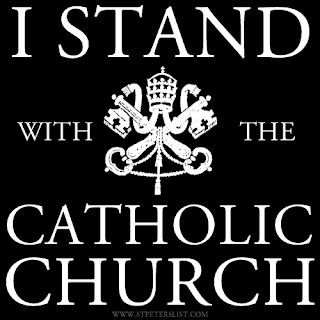 In closing, if you don't think this HHS mandate thing is a big deal, you really aren't thinking about it enough. I am ramping up the prayer and sacrifice this fortnight and am going out next Wednesday to exercise my 1st amendment rights in defense of my first amendment rights. And you know what? I am doing it for the children, because this is their America to inherit and I want them to have the same freedoms I had growing up. That is looking increasingly unlikely, but I owe it to them to at least try to change things. Go see Jen for more quick takes. That might be why I haven't been blogging despite the fact that my better half now lives 8+ hours away. I usually blog up a storm when he's gone, but I just don't have it in me! But things are looking up around here. Contract on the house looks good, a moving date has been secured along with a new domicile across the culdesac from an acquaintance with 5 kids and a park out back. Whew! So without further ado I give you a Momoism. I yelled at the Conqueror to put the Memory cards in the "dang" tin. Except I didn't use the word dang. The word I used rhymed with ram. Momo immediately got irate, threw up her hands and said, "MOM! You told me to put the cards in the d@^^ tin!" Of course, everyone started laughing, except Momo, who had no idea that she just said a bad word. Yup, laughter at swearing three year olds. That's where we are at right now. Perhaps I should take another blogging hiatus. "Magnanimity means greatness of spirit, a largeness of heart wherein many can find refuge. Magnanimity gives us the energy to break out of ourselves and be prepared to undertake generous tasks which will be of benefit to all. Small-mindedness has no home in the magnanimous heart, nor has meanness, nor egoistic calculation, nor self-interested trickery. The magnanimous person devotes all his strength, unstintingly, to what is worthwhile. As a result he is capable of giving himself. He is not content with merely giving. He gives his very self. He thus comes to understand that the greatest expression of magnanimity consists in giving oneself to God." - St. Josemaria, Friends of God, 80. Meg- Former Political Junkie with a law degree and a wicked competitive streak. Constantly trying to be a good wife and mother by struggling to live up to my vocation as a daughter of God. LTC, M.D.- An officer and a gentleman. The Conqueror- 10 years old, photographic memory, knows more history than his mother. Biki- 7 years old, sweet big sister, budding artist and soccer star. Beanie- 5 years old, thrives on drama, a toothless wonder, and challenged by gravity daily. Momo- 3, going on 6. That about sums things up. Barbabyian- 8 months; into everything, including toilets; a huge smiling flirt who delights his ever-expanding fan club. The Limits of Christian Charity?!?! I just googled up "fashionable orthopedic shoes." Shoot me now. Someone is solidly middle age.